Wow! I was super excited for the snow, but quickly realized I was more excited about the idea of it. Yesterday afternoon it had just begun to snow when I got to my hotel. 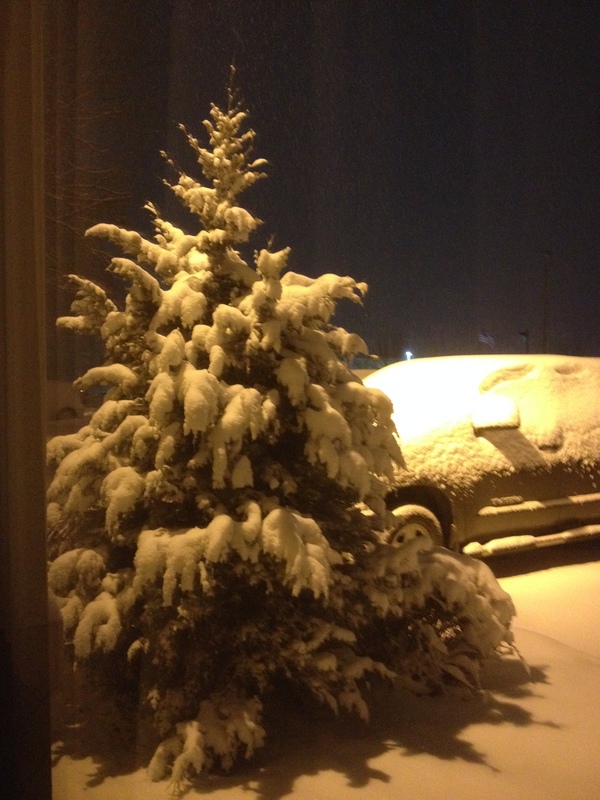 I couldn’t stop smiling as I unloaded my car and the big, weighty snowflakes covered me. It brought back so many memories and made me feel like a kid again! I kept peeking out the window throughout the evening to check the status of the snow. This morning I was forced to deal with the reality of interacting with the snow, not just my fantasy of it as I watch from a window. As I walked to the parking lot, I immediately had an “OH” moment as I noticed all the other cars with their windshield wipers in the air. How could I have forgotten one of the simplest tricks! 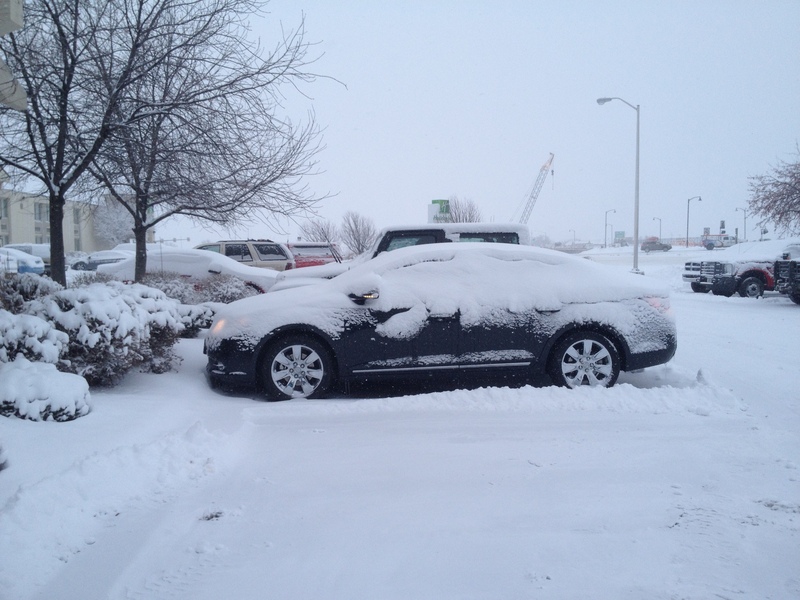 While scraping off the car, I maintained that goofy grin as the snow squeaked beneath my feet. However, after 30 minutes of scraping in single digit temperatures, I think my face may have just frozen that way!